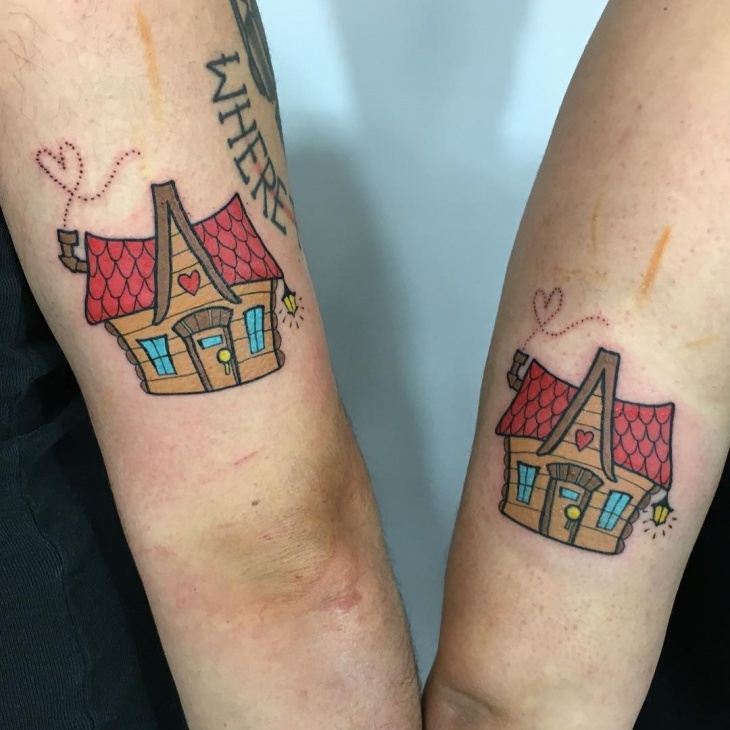 Couple tattoos are getting popular with many couples choosing to ink tattoos as an ‘Expression of love for each other’ or a ‘Celebration’ of togetherness’ or ‘Happy to find a soul mate’ etc. Couple tattoos are an expression of their journey and there are many tattoo designs to display this affection. Some couples like to have some beautiful quotes inked on each of them or a part of the quote on each other. 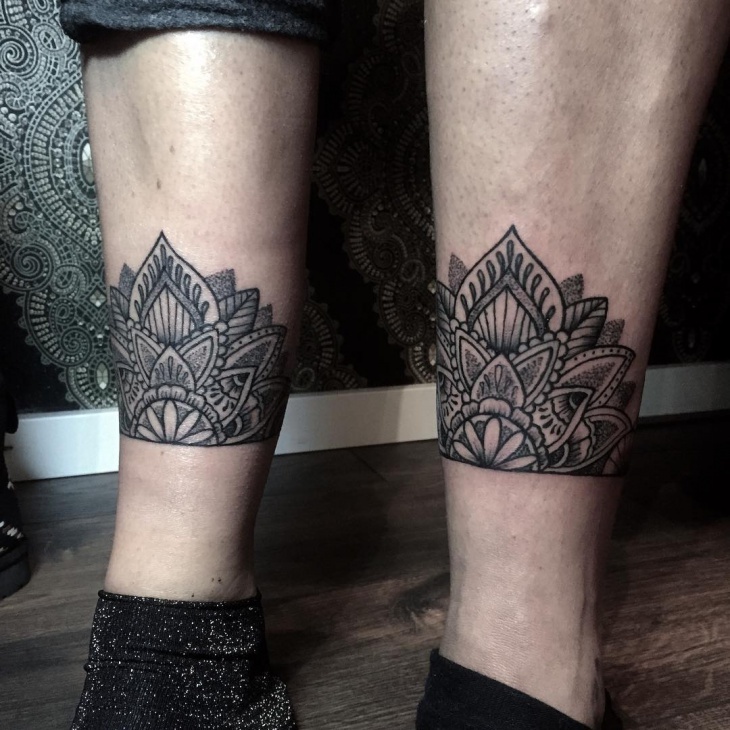 While some couples go for the same tattoos to be inked on them, while some a pattern that can be completed by combining the tattoos on each other. 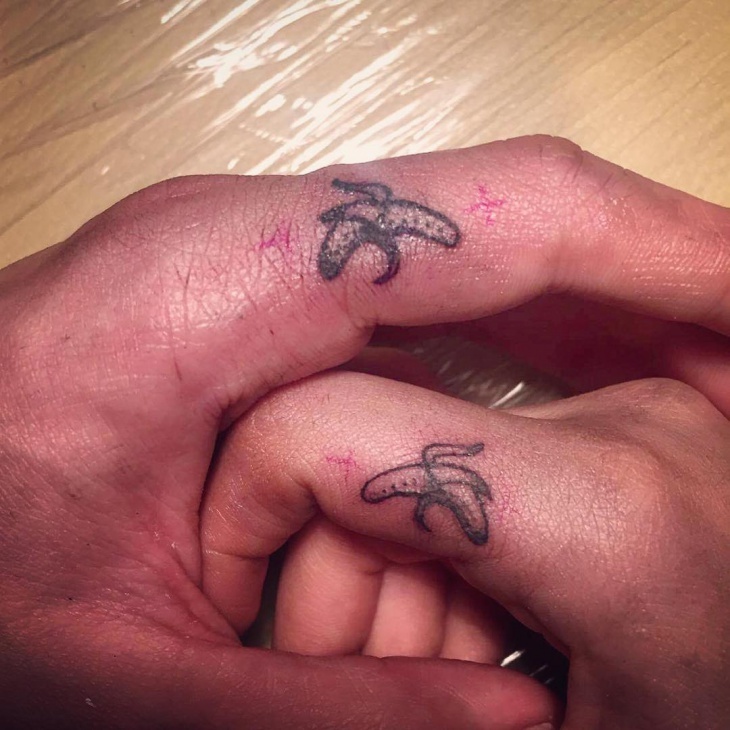 Small tattoos inked on each other to express their love look cute as well as romantic. These tattoos can be the ones liked by both of them as a quote, their names, an ECG inked on both hands when combined forming a pattern, a pattern of building blocks which complete a pattern if combined etc. 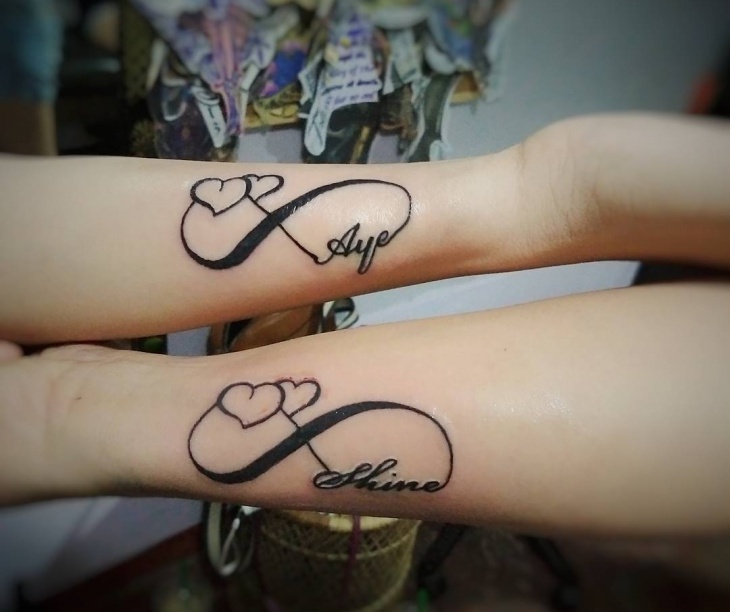 Couple name tattoos are the favorite among couples as there lies an excitement in seeing their name inked on their loved ones. It is just a thrilling experience to have their name inked on their partner. 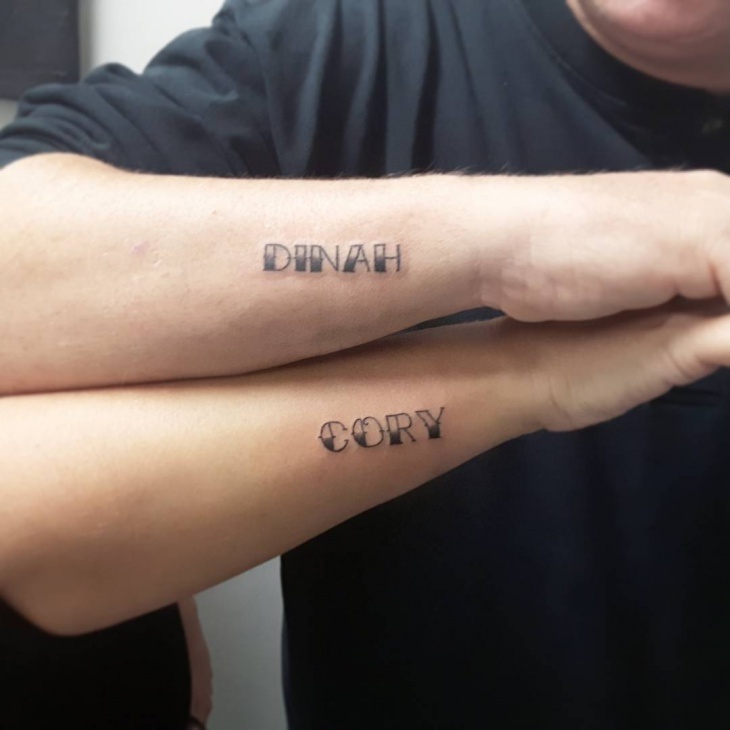 This makes the name tattoos very special among couples. 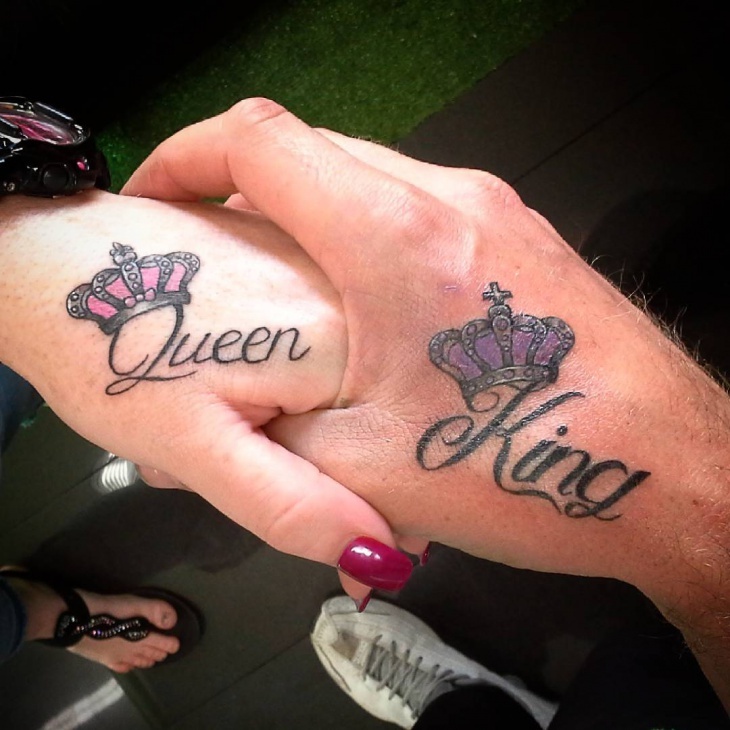 The king and queen couple tattoos make the couple feel elated and give them a sense of togetherness. Not only these tattoos give a special bonding but they make them feel that they have a world of their own and they both rule it. 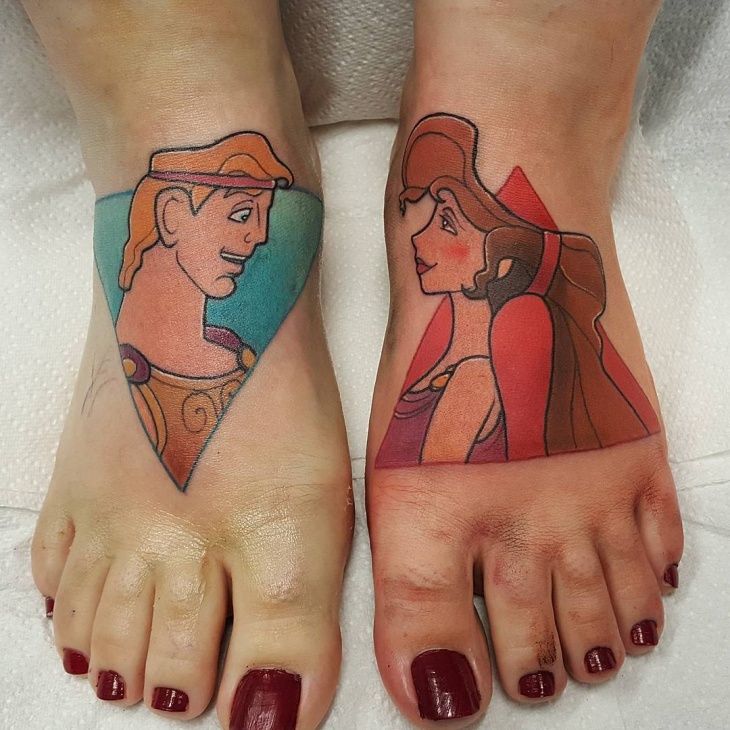 The beautiful cute and evergreen Disney couple tattoos are a favorite among couples. The cute, romantic Disney couples such as mickey and Minnie, Belle and Beast, Simba and Nala etc. bring the childhood memories along with innocence to their love. 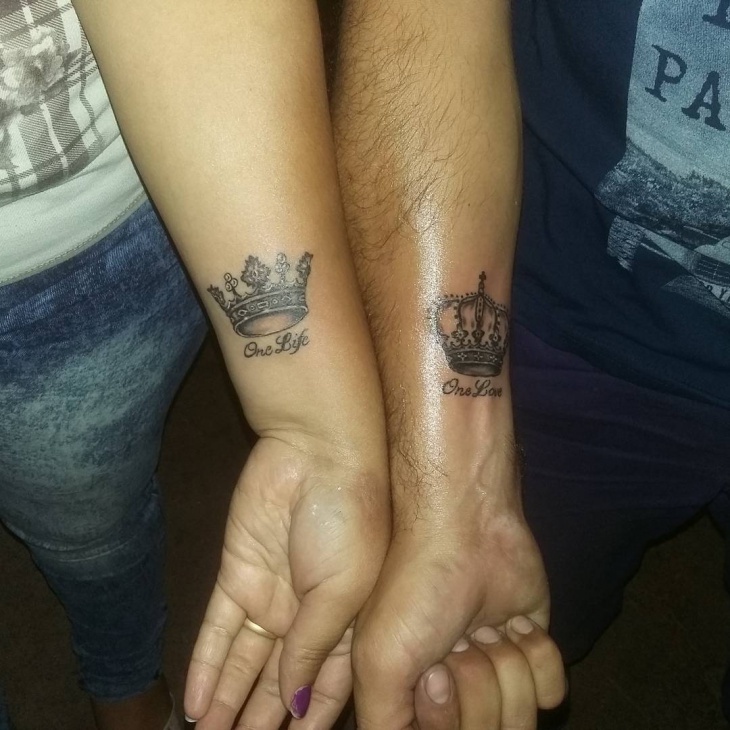 Crown tattoos on couples are strong expressions of love and togetherness. These tattoos make them a sense of togetherness forever. The crown tattoos on the couples make them bonded for each other and it is an expression of loyalty and faith. Wedding rings are the most respected ones as they bind a couple together in a legal way. 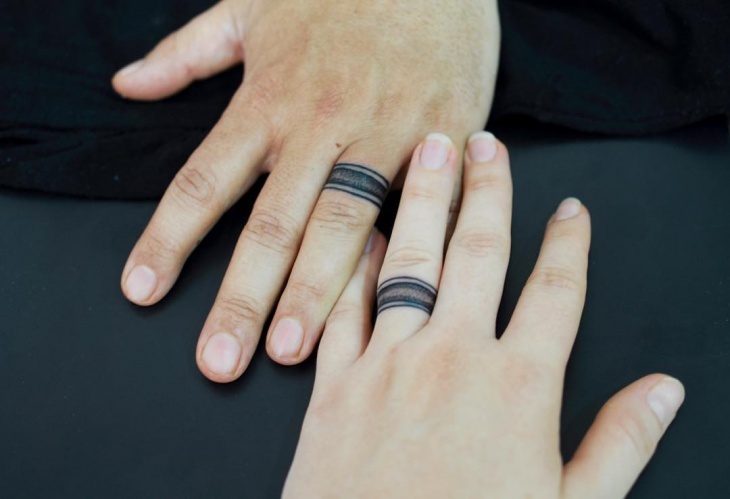 The wedding ring tattoos are loved by any couple as the wedding would be the ultimate dream of the couple. The heart is a symbol of pure love and longingness. The heart tattoos come in various designs which include heart tattoos with quotes, with names, with lots of colors etc. The heart tattoos look great as sleeve tattoos, back tattoos or arm tattoos. 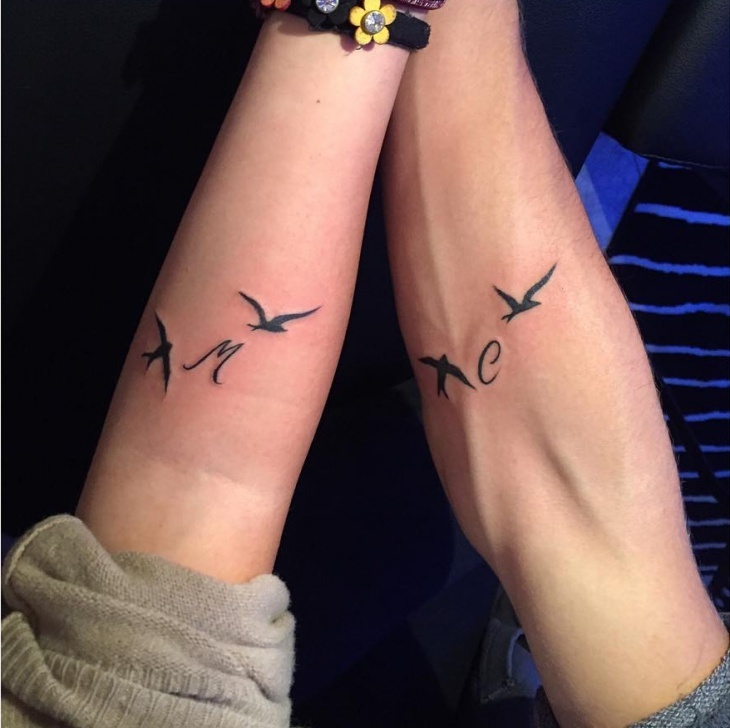 Matching tattoos are the ones which are the same tattoo that is inked on the same place by the couple. It may be similar tattoos such as paisley, a deer, a beautiful tree etc. It may be the one such as crowns, lock and key etc. which form a pair. 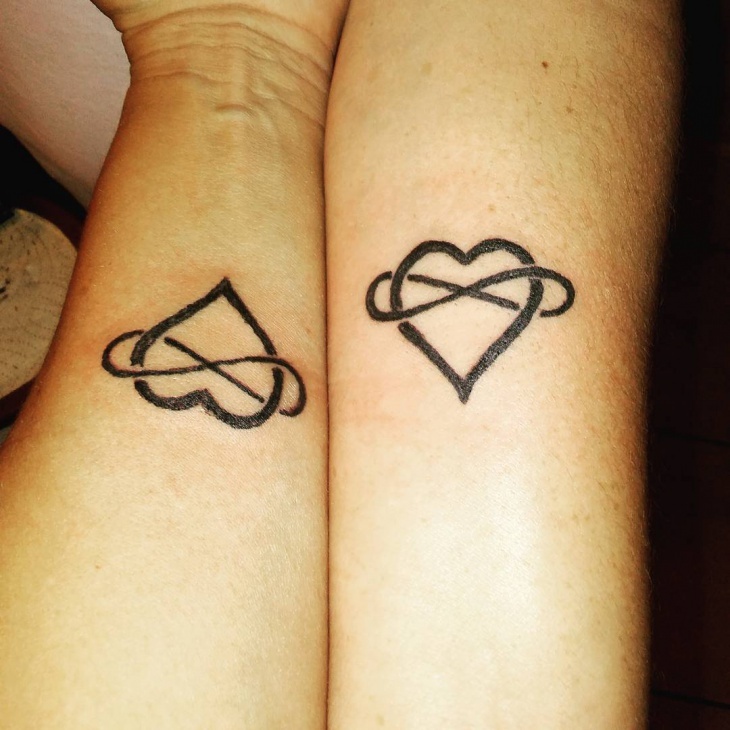 Infinite tattoos for couples is believed to bring positivity and infinite love between the two. the infinite tattoo is believed to be the most positive tattoo and it is believed to bring the same energy to the couple. Skull tattoos are expressions after death beliefs, spiritual interests, and pursuits etc. 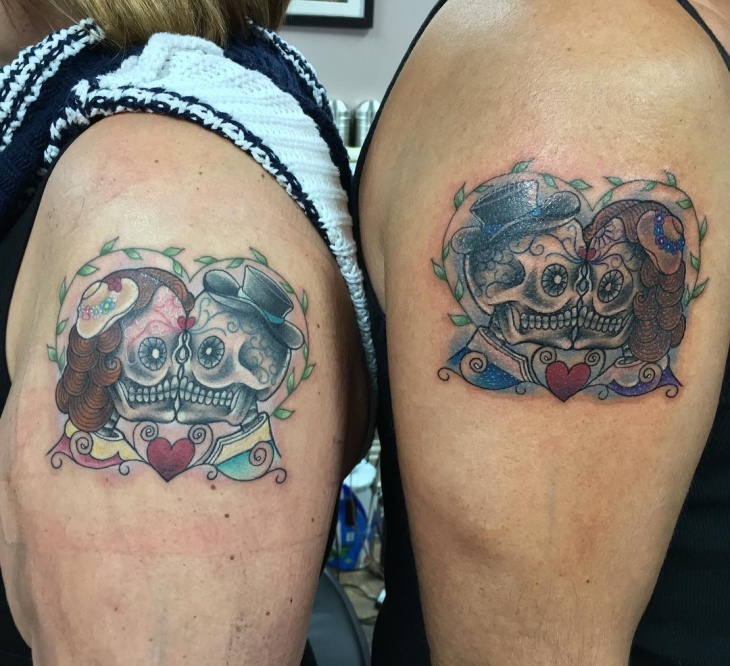 The skull tattoos for couples is an expression that spirituality, ‘Forever together’ etc. are also the reasons for getting the tattoos inked. Lock and key are a pair and the lock cannot be opened without a key. This symbolic gesture makes the couple go for lock and key tattoos. The lock and key tattoos are very popular among couples and it is believed to lock their bond forever. 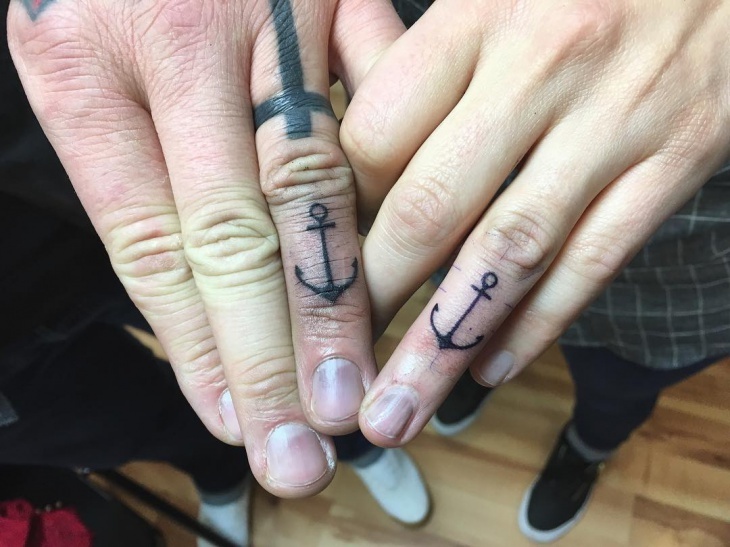 Anchor and wheel is a pair of tattoos which are the most sought after couple tattoos. The representation of ‘I am lost without you’ or ‘you drive my life’ etc. are the strong feelings behind these tattoos. Hand tattoos are really cute and they can be seen easily. The couple who have the matching tattoos such as lock and key, a pair of birds or similar tattoo designs etc. on hands represent a couple and it is a way of showing the world that they are a couple. Birds are believed to be loving, caring and loyal to their partners until the end of their lives. This makes many couples love the bird tattoos and have the pair of birds inked on them. 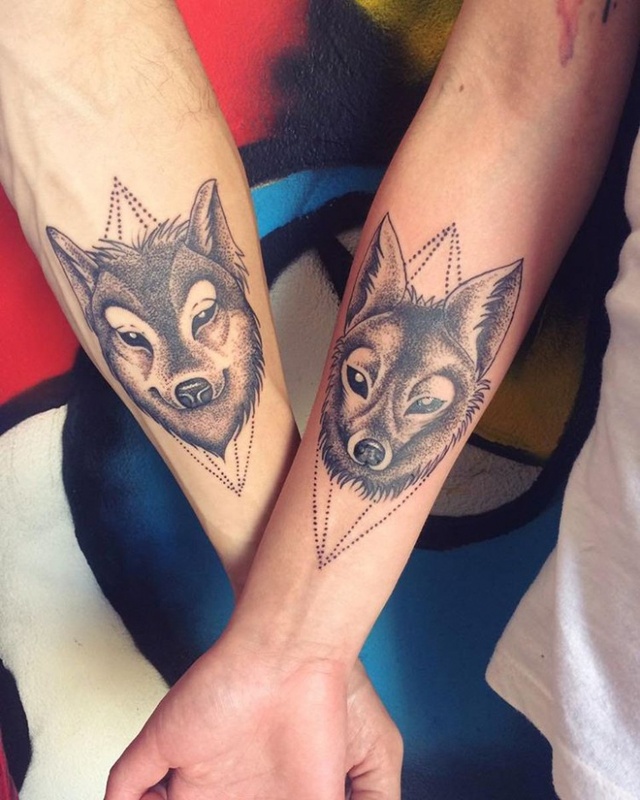 Tribal tattoos have different meanings and there are special tattoos for couples. These tattoos are believed to keep the couple together forever and help in flourishing the love between them. This makes many couples go for tribal tattoos. Owls are considered to be very loving and caring birds which make them a favorite among couples. The owl tattoos have many variations in designs, colors etc. 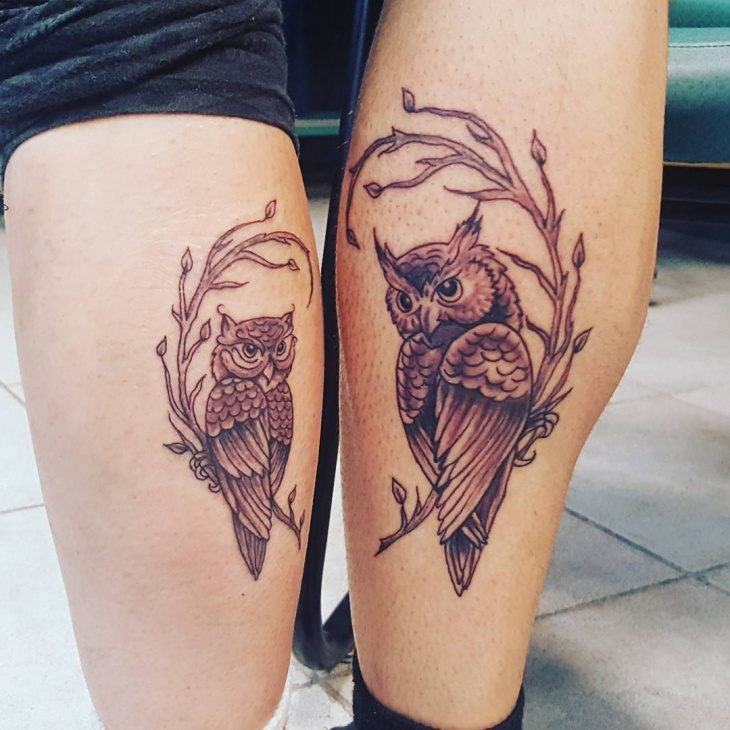 The owl tattoos are loved by the couples for the trust and love for each other in a pair. The couple tattoos are an expression of love and the strong desire of being recognized as a couple. The couple tattoos can be very good hand tattoos, arm tattoos, foot tattoos, wrist tattoos or sleeve tattoos. 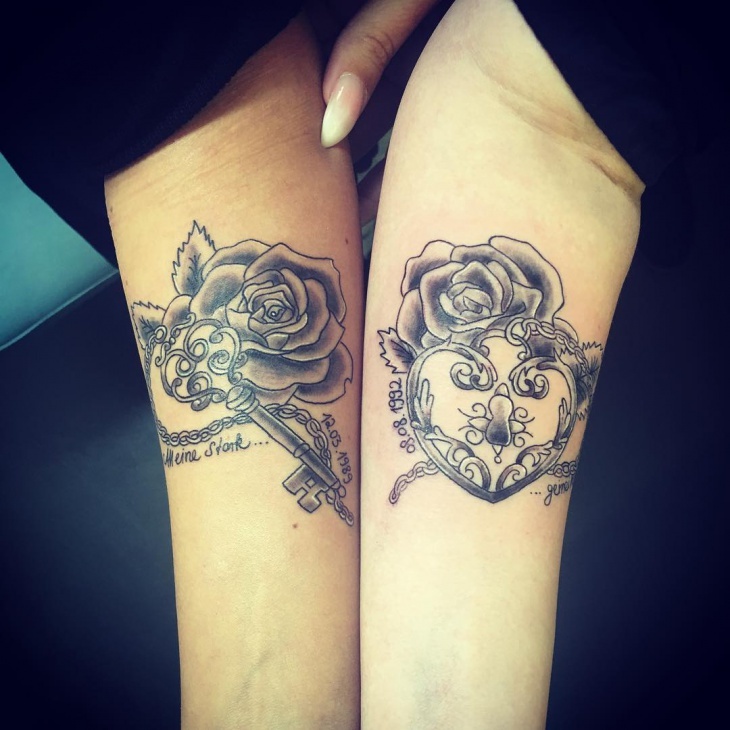 The places which are easily visible are best to show off the couple tattoos as the intention of having the couple tattoos inked is to express the love.